I am curious – did you happen to scan the gum counter this week at your local grocery store? You may have noticed 3 new flavours have been introduced since last week’s WORKout. Let’s just say that the new banana flavour is, well, interesting. Last week we discussed the whole concept of choice and making decisions. We looked at the first principle of ”the why”. I mentioned that I would discuss two more principles; however, I happened to pick up a new book last weekend titled ”Man’s search for meaning”, and it’s taken me a bit off track. I am not sure if you have heard of this book, but it has sold over 12 million copies. 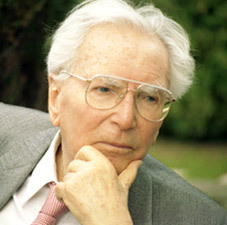 The author, Viktor E. Frankl, was a psychiatrist who spent the years from 1942 to 1945 as a prisoner in a concentration camp. This book is about his thoughts coming out of this horrendous experience. Dr. Frankl observed that prisoners of the camp who found purpose and meaning despite (or because of) their suffering were the ones who were able to deal with and overcome the hell that they were part of. Essentially, they discovered or renewed their sense of "why". These observations ran contrary to Freud’s theory, which holds that our primary driver is pleasure. 1) Life has meaning under all circumstances – even the most miserable ones. 2) Our main motivation for living is our will to find meaning in life. 3) We have freedom to find meaning in what we do, and what we experience, or at least in the stand we take when faced with a situation of unchangeable suffering. Some of you who are reading this may find yourselves in a really terrible situation at work. Perhaps your experience can provide you with the opportunity of clarifying the meaning and purpose of your work, like it did for Dr. Frankl. Our work is not the sole purpose in our lives, but it is a key part of the puzzle. I believe our work should be in alignment with our purpose. Only then can we truly be ourselves, and feel fulfilled. This is not simple, however, like the 3rd point of Logotherapy, we do have the freedom in our lives to choose the path towards this goal. Please send your thoughts about this topic to me at alan@careerjoy.com. We will be having a draw for 3 copies of Dr Frankl’s book. Take ten minutes to delve deeper into Logotherapy. Here’s a link to get you started: http://en.wikipedia.org/wiki/Logotherapy. P.s I couldn’t avoid a Christmas plug this week. Are you overwhelmed with what to get that special person for Christmas? Why not get them the gift of a better future – from resume to coaching to one of our programs. It’s unique and personal, and will be the gift that keeps on giving. Send us an email, heck, it’s one less decision to make!